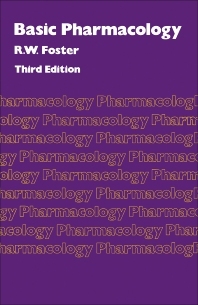 Basic Pharmacology, Third Edition aims to present accounts of drug actions and their mechanisms in a compact, inexpensive, and updated form, and explain the basis of the therapeutic exploitation of drugs. This book is divided into sections that follow a particular theme and is introduced by the relevant pharmacological general principles. In each section, the major groups of drugs related to the theme are discussed with detailed expositions of the important “type” substances. Drugs of lesser importance are placed in proper context. A list of abbreviations that are referenced throughout the book is provided after the introduction. An index is also included at the end. This edition is designed to help students taking pharmacology, including medical students of subjects affiliated to medicine, to appreciate the rationale underlying the uses of drugs in therapeutics.